“Magic at the Mill.” This annual holiday event is marked by thousands of twinkling lights, performances by local musicians, dancers, and singers, children’s activities, miniature trains, and, of course, photos with Santa and his elves. The 2105 event runs December 19 – 23 from 5:30 – 8:00 pm and is a festive way to celebrate the season in style. 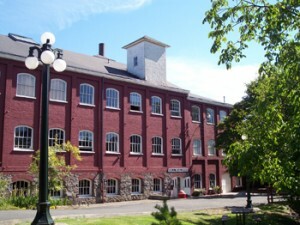 Tour the distinctive red buildings of the 1895 Thomas Kay Woolen Mill. 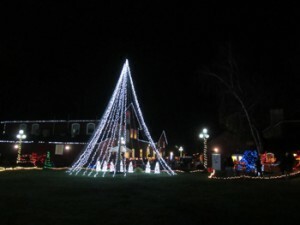 First held in 2000, Magic at the Mill gives families the opportunity to enjoy festive Christmas decorations and activities in a historic setting. You’ll see animated lighted ducks and fish swimming in the water of the Mill Race while sheep cavort and trees dance to music. As you peek inside each historic building, you’ll hear costumed docents sharing fascinating stories of pioneer and woolen mill life. The blacksmith demonstrations aren’t to be missed, and you can also watch weaving and lacemaking and craftspeople spinning fiber into threads. Seasonal food and drink and handmade and vintage gifts are for sale. There’s plenty to keep kids entertained. In addition to the traditional favorite crafts of making reindeer food and Victorian-era silhouettes, children can create period holiday ornaments and bilboquets (cup and ball toys). 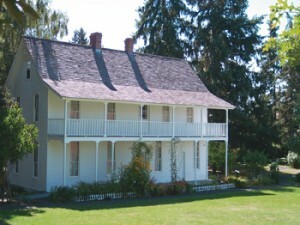 Restored and furnished 1841 Jason Lee House is open for tours. Enjoy the most wonderful time of year in Salem, Oregon. Magic at the Mill is your opportunity to not only delve into history, but to experience the Willamette Heritage Center site aglow in holiday lights! Admission: $6.00 Adults; $4.00 Youth (4-12 years old); Children 3 and under are free. Free parking in a huge lot suitable for even big rigs. Parking on surrounding neighborhood side streets is also available.